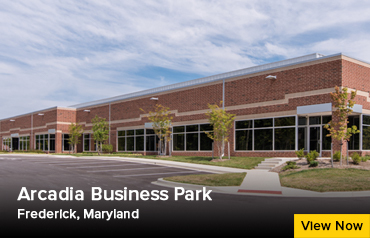 St. John Properties has developed and owns approximately 1 million square feet of commercial space in Central Maryland, with another 600,000 square feet planned throughout Frederick, Montgomery and Washington Counties. 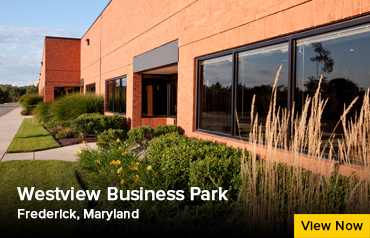 The regional office also oversees development in Virginia, was established in 1996 and is led by Regional Partner Matthew Holbrook. 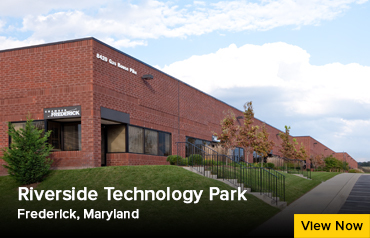 Search for properties in Central Maryland. Have questions about a Property? Contact Us.